Stephan Chalup is Acting Deputy Head of School (Academic) of the School of Electrical Engineering and Computing at the University of Newcastle in Australia. He leads the Interdisciplinary Machine Learning Research Group (IMLRG) and built up the Newcastle Robotics Laboratory. He received his Ph.D. in 2002 in Computer Science from Queensland University of Technology in Brisbane where he studied at the Machine Learning Research Centre. For his Masters equivalent degree he studied mathematics with neuroscience at the University of Heidelberg after he had completed his undergraduate studies at the University of Konstanz in Germany. The Interdisciplinary Machine Learning Research Group (IMLRG) includes researchers from AI neuroscience, machine learning, optimisation, statistics, pattern recognition, software engineering, data science and computational intelligence. It investigates the application of new, faster or more precise data analysis techniques in various interdisciplinary domains and in simulations. Paradigms include classification, clustering, dimensionality reduction, outlier detection, regression, reinforcement learning, risk and time series analysis with a special focus on deep learning, manifold learning, geometrical and kernel methods. Application project domains include architecture, big data, computer vision, pattern recognition, signal processing, engineering, health, finance, and neuroscience. The IMLRG also engages in industry projects. The Newcastle Robotics Laboratory started with the NUbot RoboCup team and is now an umbrella for several robotics related projects. 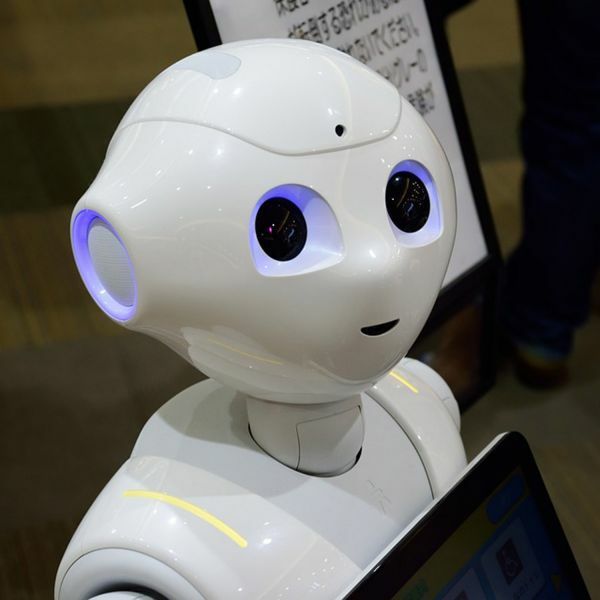 These address Humanoid Robots, Computer Vision for Safety in Transportation, Virtual Reality, Autonomous Vehicles, RoboCup and RoboCup Jr., Communications, Robot Learning, Vision and Software Engineering. Several of Stephan Chalup's research projects follow the theme of Anthropocentric Biocybernetic Computing. It investigates the complex interactions between humans and their environment on all levels including the cell-, circuit-, and body-levels and the ecosystem. When applied to real-world computing and autonomous agents the aim is to develop systems that approximate human-like skills on tasks such as vision processing, facial expression analysis, space representation, and human-robot interaction. Machine learning techniques are employed for fine tuning the parameters of general models until they perform at extraordinary levels of skill on selected tasks. Biologically motivated models are complemented by alternative designs. The strategy is to approximate human-level skills in artificial systems from several different directions, that is, through interdisciplinary projects in collaboration with experts from relevant disciplines (e.g. design, business, architecture, neuroscience, statistics and mathematics). Full-time lecturer since 2001. Taught courses in machine intelligence, big data analytics, computer graphics, computer linguistics, computer vision and deep learning, internet communications, biocomputation, software engineering and advanced machine learning. Currently: Acting Deputy Head of School (Academic) and member of the faculty research committee. Previously: Head of Discipline, Computing and Information Technology (7-12/2018); Marketing Coordinator for computer science; Bachelor of Computer Science Honours Program Convenor 2/2006, 2011, 2013-16; Student Academic Conduct Officer (SACO) 2010-2012; BE(software) programme convenor 2007; CSSE seminar coordinator; examinations officer. Abstract. What would be more challenging, to develop a self-driving car, or a robot that can play soccer autonomously? Most people would be familiar with some of the challenges the autonomous car industry is facing, while soccer-playing robots would more likely be associated with simple toys and next-generation futuristic technology at the same time. This keynote will look at an autonomous Humanoid robot soccer team that competes at the international robot soccer worldcup, RoboCup. Development of the robots includes an efficient software framework using algorithms for vision, localisation, motion control and behaviour, and the integration of suitable hardware. In the Humanoid league only human-like sensors are allowed, and video captured with a camera with a maximum field of view of 180 degrees is the primary source for object detection and localisation. For many years the high computational cost of traditional computer vision methods put severe limitations on what such robots could see and do. A significant advancement in object detection was recently achieved by new deep neural networks that can run with very high frame-rates on low-powered devices. This provided an important step towards the goal of RoboCup which is to develop a robot soccer team which beats the human world champion team by 2050. 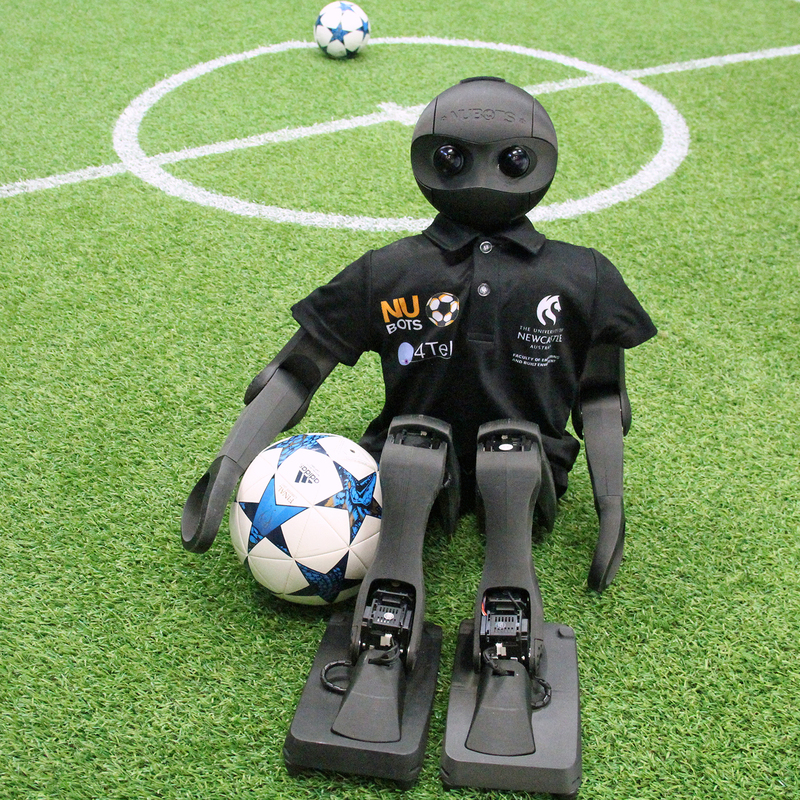 The evolution of the soccer robots’ brain-like control systems over the past years may also allow to predict when these autonomous humanoid robots would be capable of leaving the soccer field or lab environment and securely perform tasks in the real world such as driving a car. Time series clustering is an important data mining topic and a challenging task due to the sequences&apos; potentially very complex structures. In the present study we experimentally investigate the combination of support vector clustering with a triangular alignment kernel by evaluating it on an artificial time series benchmark dataset. The experiments lead to meaningful segmentations of the data, thereby providing an example that clustering time series with specific kernels is possible without pre-processing of the data. We compare our approach and the results and learn that the clustering quality is competitive when compared to other approaches. © 2014 Published by Elsevier B.V. The presence of locations that possess distinct spatial-cognitive features (salient landmarks) is a fundamental necessity for supporting navigation. Embedding formal or structural variability sufficient to create such landmark locations is therefore an important consideration in the design of large urban and architectural spaces. Despite the availability of diverse theories that seek to identify the characteristics of a salient landmark, relatively few experimental techniques are available to empirically evaluate saliency in a given architecture plan. This study is therefore motivated by the development of an ability to measure spatial distinctiveness during the architectural design and modelling process. The information from such an analysis can prove useful for evaluating the way in which a design provides support for wayfinding and spatial appeal. Statistical summaries obtained from the three-dimensional (3D) isovists are compared using principal component analysis to differentiate monotonous regions from the more structurally distinct ones. The experiments reported in the paper demonstrate novel utilization of the isovist concept to capture spatial properties and comparison of structural saliency among two well-known architectural designs. Central contributions of the paper include the novel experimentation technique of capturing and utilizing 3D isovists, its interpretation and the quantitative methodology behind saliency computation. © 2013 Copyright Taylor and Francis Group, LLC. © Springer International Publishing Switzerland 2015. A new method is proposed for utilising scene information for stereo eye tracking in stereoscopic 3D virtual environments. The approach aims to improve gaze tracking accuracy and reduce the required user engagement with eye tracking calibration procedures. The approach derives absolute Point of Regard (POR) from the angular velocity of the eyes without user engaged calibration of drift. The method involves reduction of a hypothesis set for the 3D POR via a process of transformation during saccades and intersection with scene geometry during fixations. A basic implementation of this concept has been demonstrated in simulation using the depth buffer of the scene and a particle representation for the hypothesis set. Future research directions will focus on optimisation of the algorithm and improved utilisation of scene information. The technique shows promise in improving gaze tracking techniques in general, including relative paradigms such as electrooculography. © Springer International Publishing Switzerland 2015. This paper proposes a simple and fast method for adapting colour lookup tables to lighting changes in real-time. The method adjusts the classified colour space regions keeping both their surface area and volume constant. Two variations of the method were compared and tested in a RoboCup soccer setting. Detection success rate was measured as a function of the speed and magnitude of hue change to the lighting environment. Compared to a static lookup table, these experimental results show improved robustness against lighting changes for detection of coloured objects. © 2014, Australian Computer Society, Inc. Digital Mammograms are x-ray images of the breast and one of the preferred early detection methods for breast cancer. However, mammograms are still difficult to interpret, and associated with this problem is a high percentage of unnecessary biopsies, misdiagnoses and late detections. The focus of this research is to use neuroevolutionary mechanisms for detecting breast cancer from mammographic images. The aim is to design a sophisticated classification tool that detects breast cancer at its early stages, so that treatment has a better chance of success. Wavelet neural networks have the ability to capture and extract information at various frequency levels by using different dilation and scaling values of the wavelet function. In this work, the wavelet neural network parameters are evolved using on the concept of Cartesian Genetic Programming, resulting in an evolved neural network which is trained for mass diagnosis. In the reported study the proposed algorithm achieves a classification accuracy of 89.57% on a real dataset composed of 200 images. Such a computer- based classification system has the potential to provide a second opinion to the radiologists, thus assisting them to diagnose the malignancy of breast cancer more precisely. This paper discusses the Enterprise Information System (EIS) life cycle and the phases of the EIS development life cycle. It details the stages in the EIS life cycle and the characteristics of phases in the system development life cycle and explains where it differs from traditional concepts of software engineering. In particular it defines the concept of generation change and when it is applied to a system. It also describes the nature of the rapid evolution of the EIS and how it results in version or generational change of the system, and how the EIS development life cycle involves a multitude of engineering processes, not just one. This new perspective could lead to the generation of new EIS development methodologies in business modelling, analysis, design, project management and project estimation. This study empirically investigates variations of hill climbing algorithms for training artificial neural networks on the 5-bit parity classification task. The experiments compare the algorithms when they use different combinations of random number distributions, variations in the step size and changes of the neural networks&apos; initial weight distribution. A hill climbing algorithm which uses inline search is proposed. In most experiments on the 5-bit parity task it performed better than simulated annealing and standard hill climbing. © 1999 IEEE. 4Tel and FEBE combined project. Ostwald, M.J.; Chalup, S.K. ; Tucker, C.
This project comprises several focused case studies involving reinforcement learning. The project involves developing, training, analysing or applying various types of deep or recurrent neural networks. In this project we collaborate with biologists and use deep learning methods to analyse image and sound data of endangered animals. The project is suitable for Honours, FYP, Masters or PhD students. Start and end dates are flexible. Please contact Stephan Chalup for further details. The project is suitable for Honours, FYP, Masters or PhD students. Start and end dates are flexible. Please contact Stephan Chalup for further details. The project involved various types of artificial neural networks. In this long-term project we analyse the structure of high-dimensional data. We apply and investigate techniques for non-linear dimensionality reduction, manifold alignment and computational topology. High-dimensional data is common in many applications. Abstractly it can have facinating properties that are different from what we are used to in two or three dimensions. In this project we address topological methods that can be run on a computer to analyse high-dimensional data. The project is suitable for Honours, FYP, Masters or PhD students. Start and end dates are flexible. Please contact Stephan Chalup for further details. This project addressed the evaluation and application of kernel machines using a variety of applications. Modelling and predicting patterns of pedestrian movement: using robotics and machine learning to improve the design of urban space. Our research in medical computing employs machine learning for various aspects of medical image and data analysis. The focus is on the application and development of new and state-of-the art technologies. Another application domain has been technology development for the aged care and independent living domain.